Paolo Calvetti, Director of the Italian Institute of Culture, introduced the General Assembly of Muographers 2018 that took place at the Italian Institute of Culture from November 29-30, 2018. 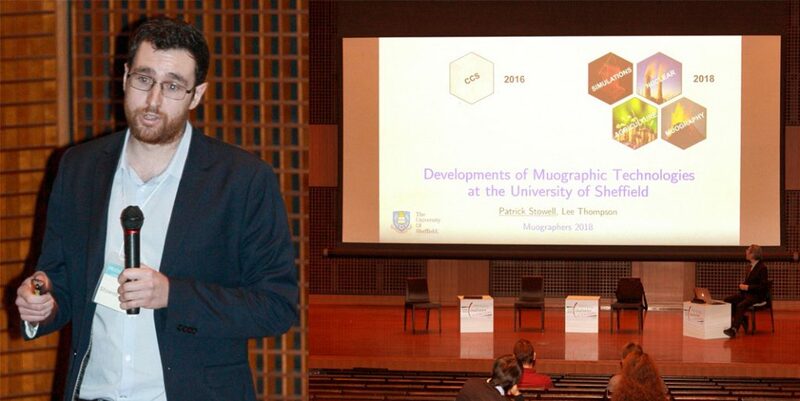 Following the welcome address, Hiroyuki Tanaka gave a short presentation that was an overview of all Monographers activities. The last speaker for the opening remarks of the General Assembly was Cristiano Bozza. 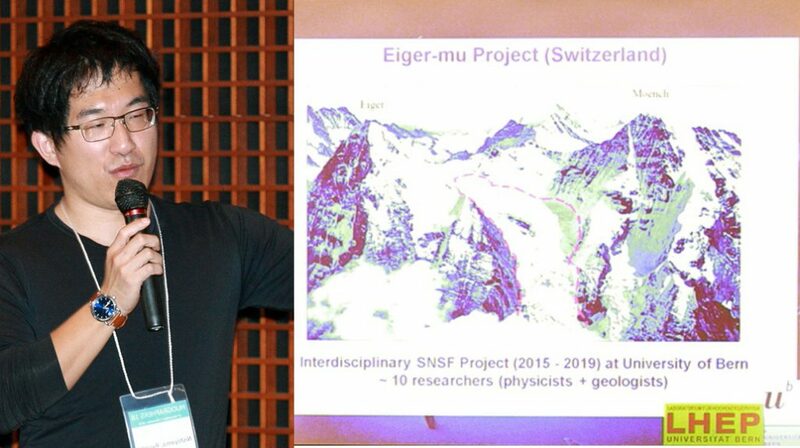 He reviewed recent improvements to the Virtual Muogaphy Institute that have been applied to La Palma fault studies. Volcano studies have been part of muography research since the moment this technique was used to image a volcano for the first time in 2007. Worldwide projects were discussed, namely the newly upgraded Sakurajima Muography Observatory (Laslo Olah, UTokyo), Etna volcano MEV Project (Domenico Lo Presti, University of Catania), MURAVES project recent highlights (Giovanni Macedonio, INGV), progress with the Stromboli muography project, (Valeri Tioukov, INFN) and hardware and software upgrades applied to the La Palma and Stromboli studies (Cristiano Bozza, University of Salerno). 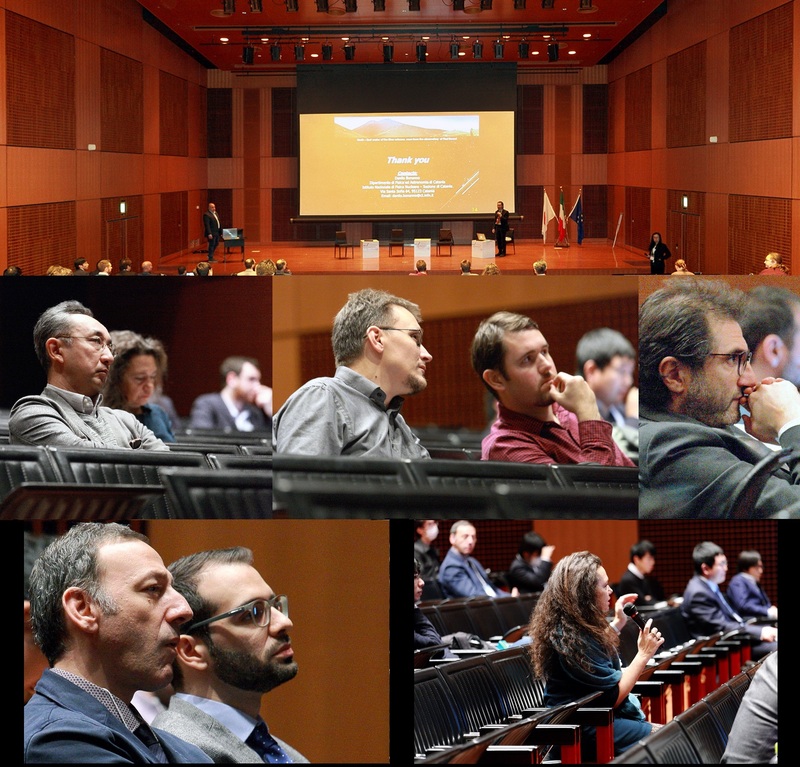 The following day was focused on issues of technological development to contribute to the future of muography capabilities. Small sized detectors and some of the trials to test the light weight, gas tightness and robustness properties of detectors (presented by Andrea Giamanco), the MIMA (Muon Imaging for Mining and Archeology) detector developments, muographic technologies at the University of Sheffield including nuclear waste package testing (Patrick Stowell, University of Sheffield), and the MEV project focused on Etna volcano (Danilo Bonanno, Instituo di Fisica Nucleare). 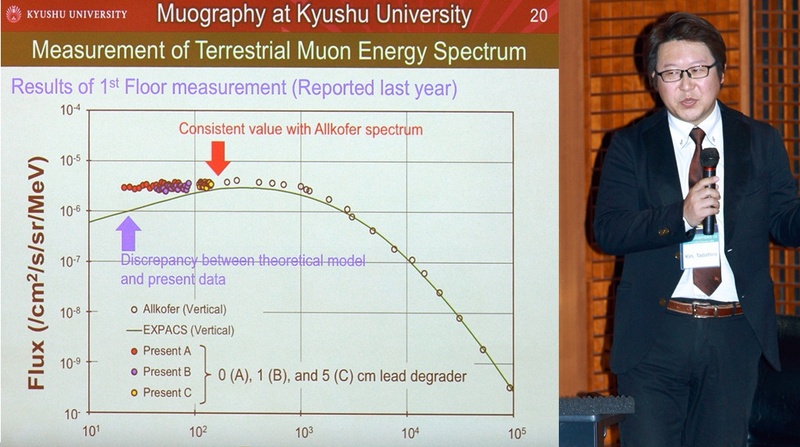 The first topographical images were shown from the Muon Portal Project (Giuseppe Gallo, Instituto Nationale di Fisica Nucleare), simulation studies for the Energy Window Muography project (Tadahiro Kin, Kyushu University), the T2DM2 Muography collaboration projects applied to civil engineering, geology and hydrogeological targets (Ignatio Lazaro, LSBB), Eiger-mu collaboration work on Alpine glacier muographic surveys (Ryuichi Nishiyama on behalf of University of Bern), LINKEOS Technologies work with muon imagining for nuclear sites (Guangliang Yang, LINKEOS), muographic imaging for buried reinforced concrete structure (Laszlo Olah, UTokyo) and a muography project targeting an abandoned mine (Shinichi Miyamoto, NEC) were the issues that were discussed during this last session of the General Assembly.